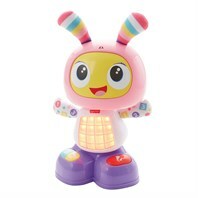 Dance and Move BeatBelle is a perfect playtime pal for singing, dancing, moving and grooving! 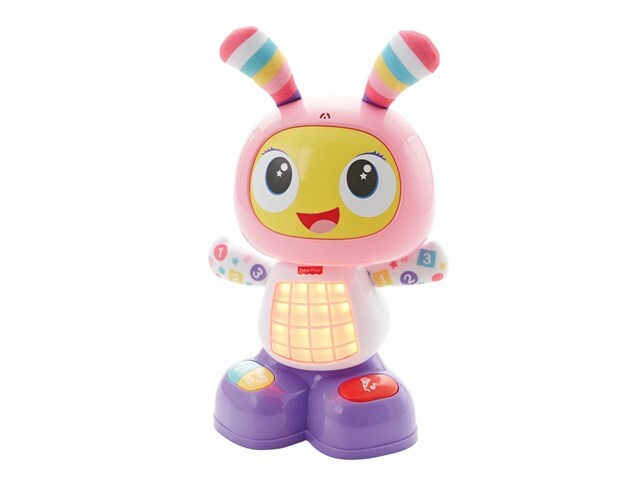 Use up to three switches to activate his three modes: Dance and Move, Learning and Games and Customised Sing-along. Use three standard 3.5mm switches (not included) or press BeatBelle’s buttons on her feet to turn her on and off. Large multi-coloured LED grid tummy and fun head bobbing action; watch her hips shake to the beat as her head bobs back and forth. She also has soft, squishy ears.